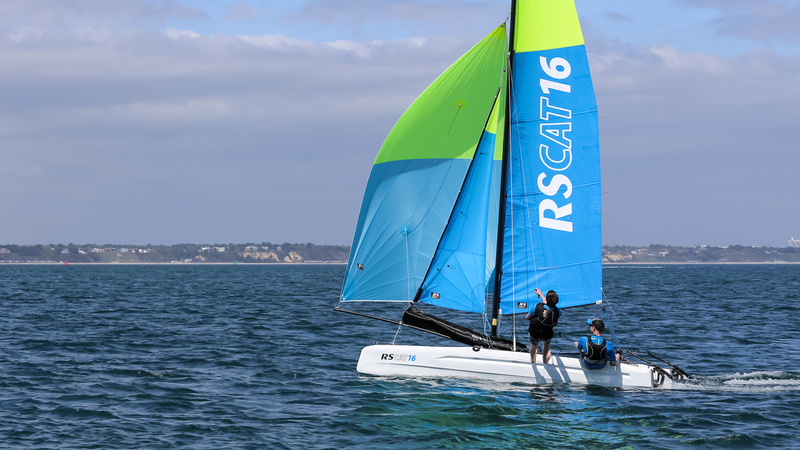 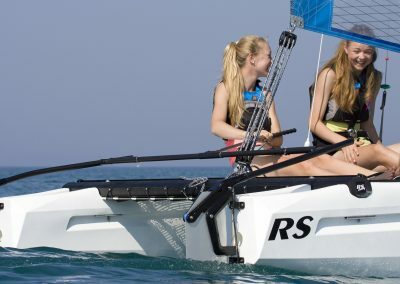 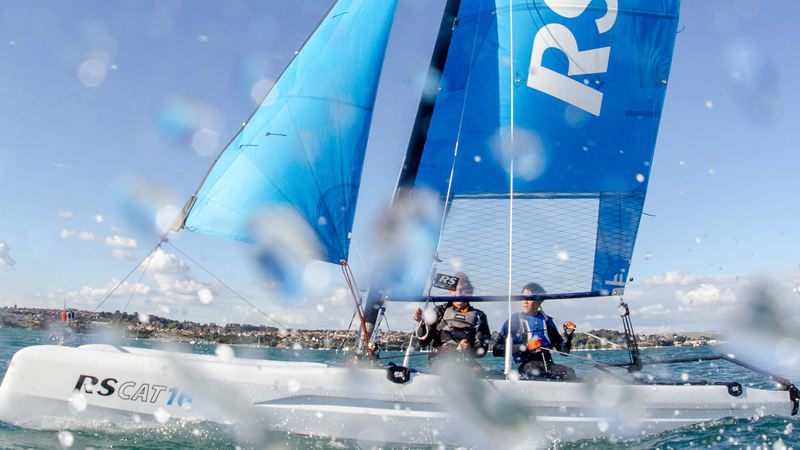 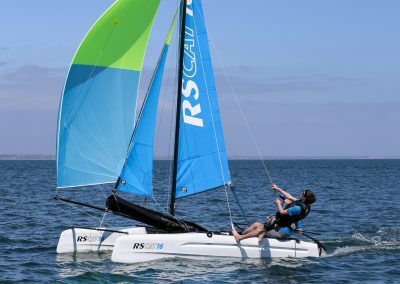 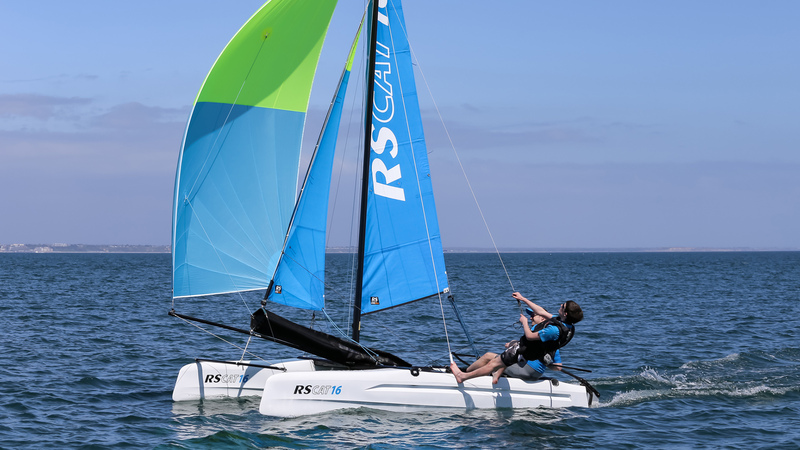 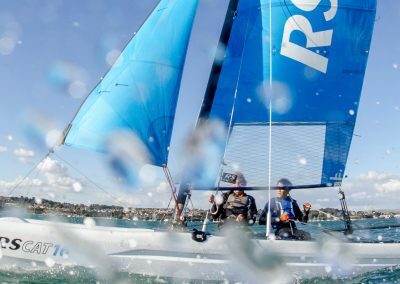 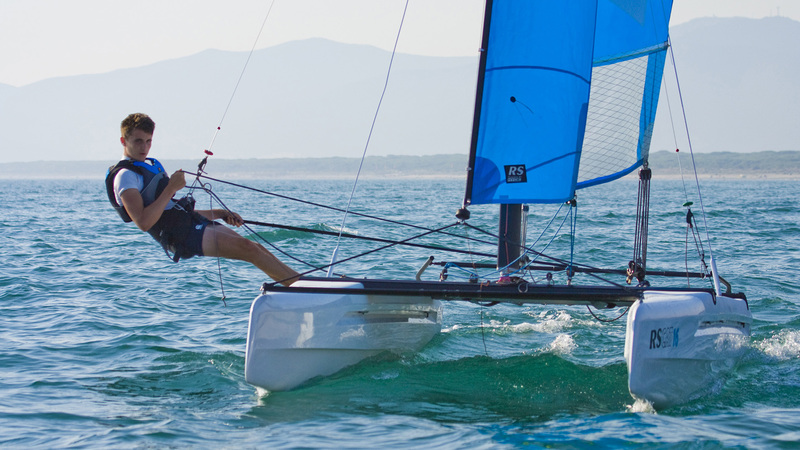 The RS CAT16, a triumph of rotomolding technology, is not just another plastic beach cat. 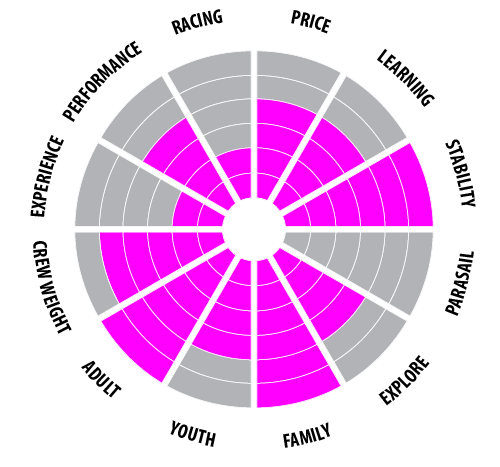 It’s plenty high-performance. 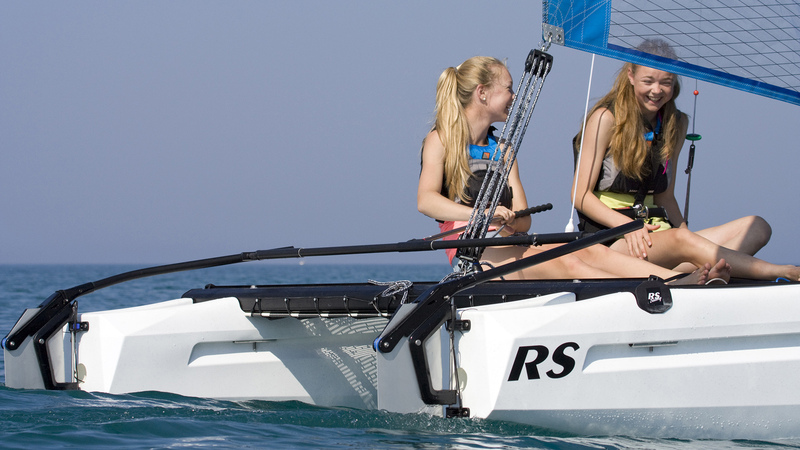 This is one for adults and kids alike to get hooked on the stoke that comes with two hulls. 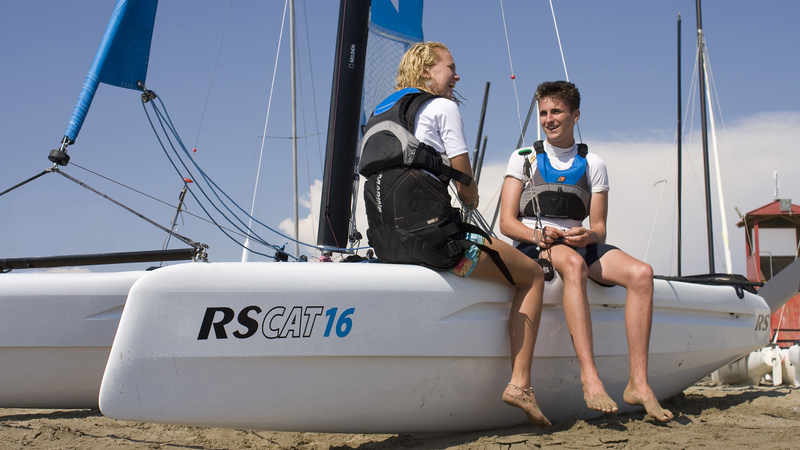 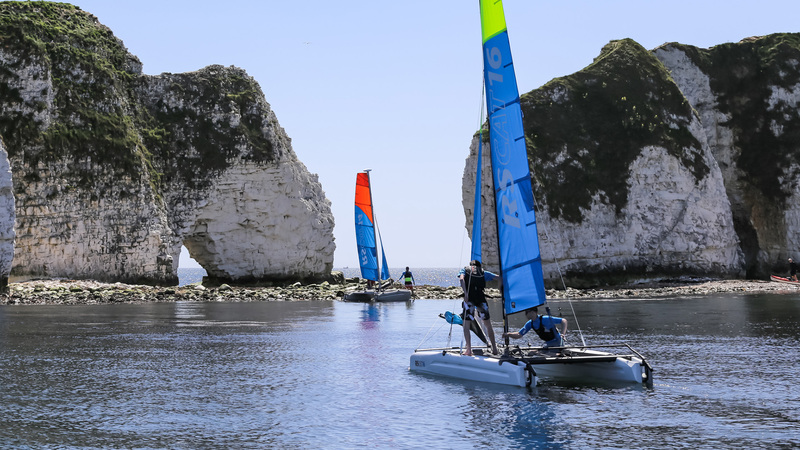 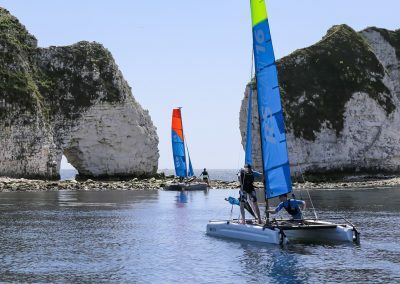 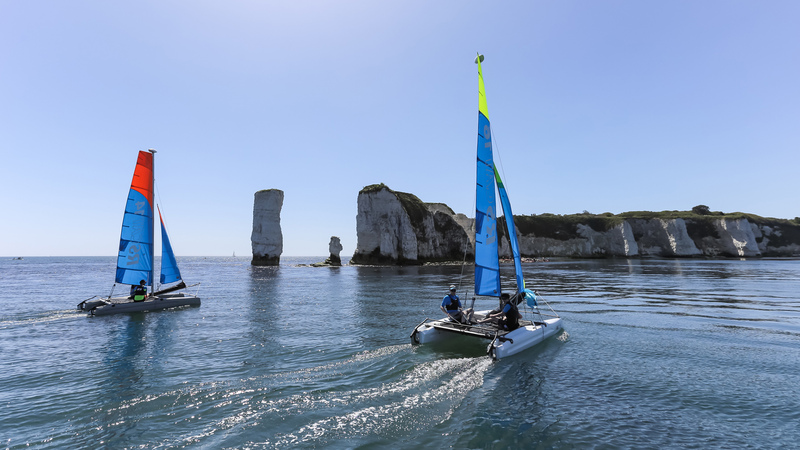 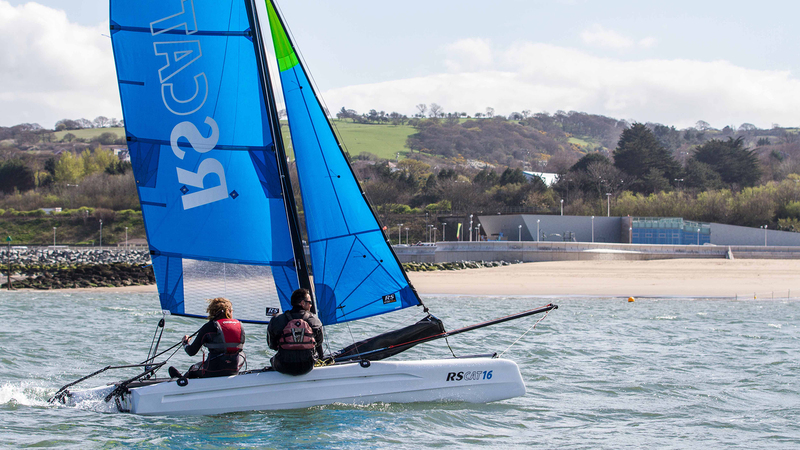 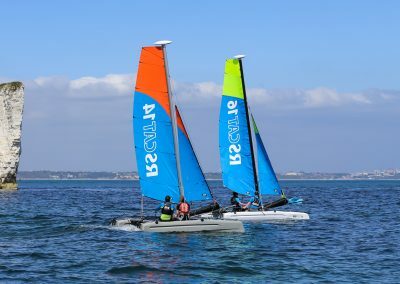 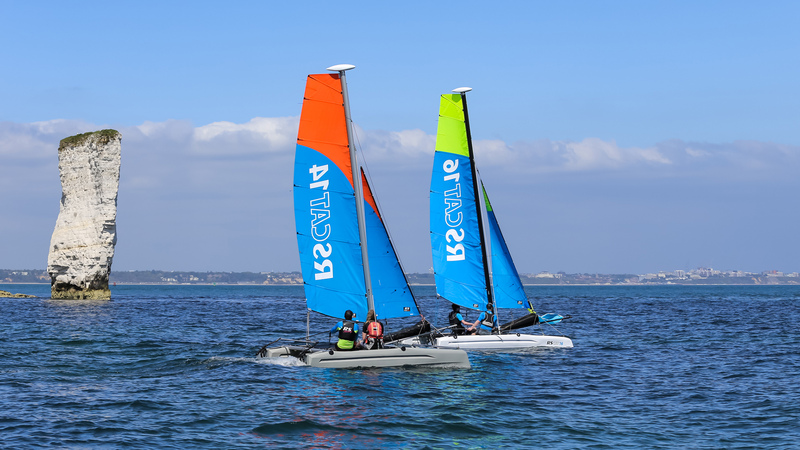 The RS Cats were a huge success and the kids loved the thrill of catamaran sailing. 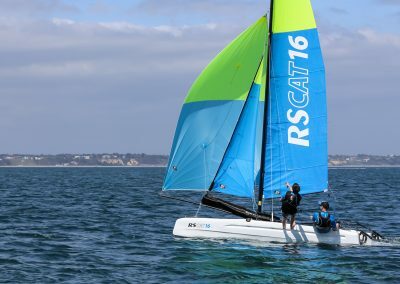 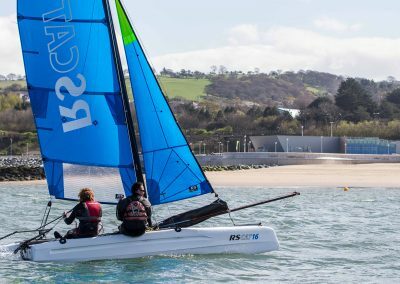 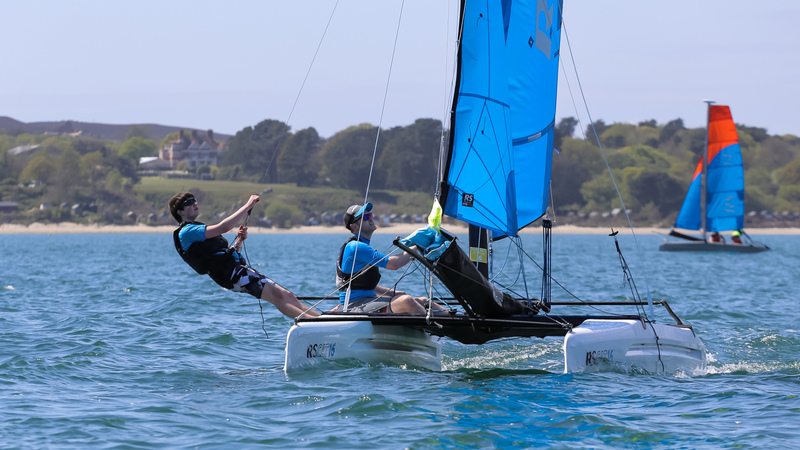 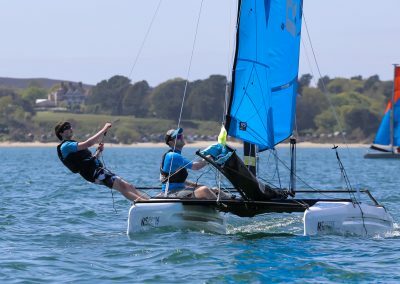 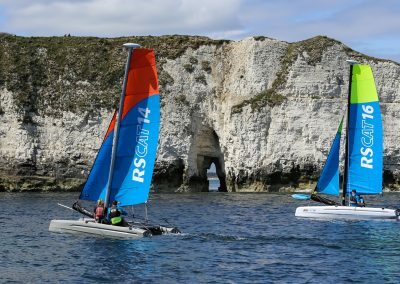 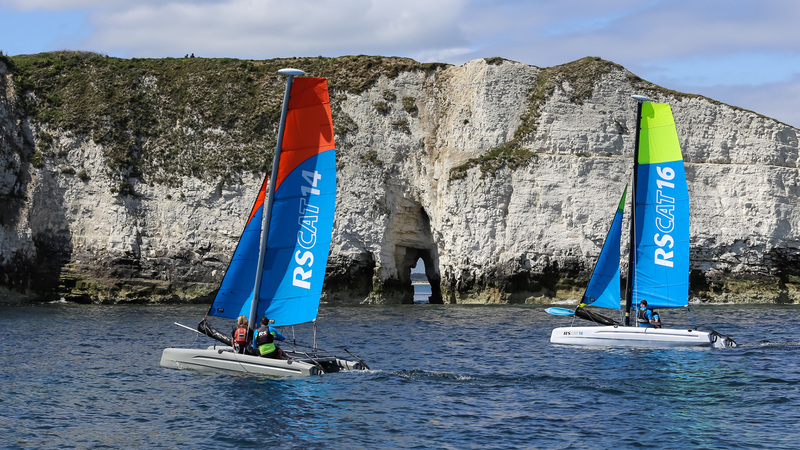 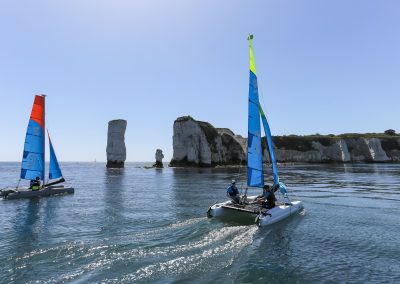 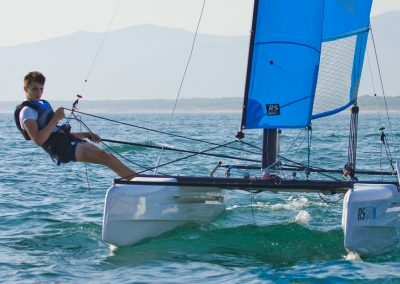 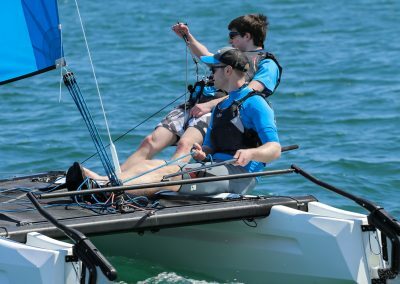 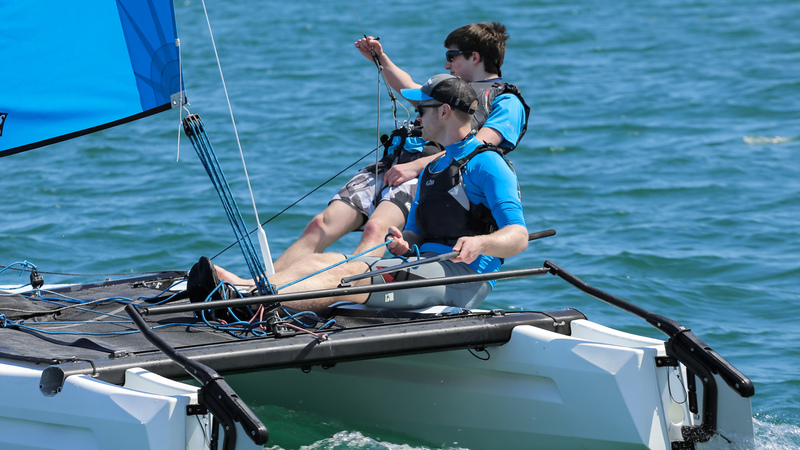 Even under main and jib alone, the RS Cat 16 sizzled along, its wave-piercing bows doing their thing while a pair of laser-beam-straight wakes stretched out astern. 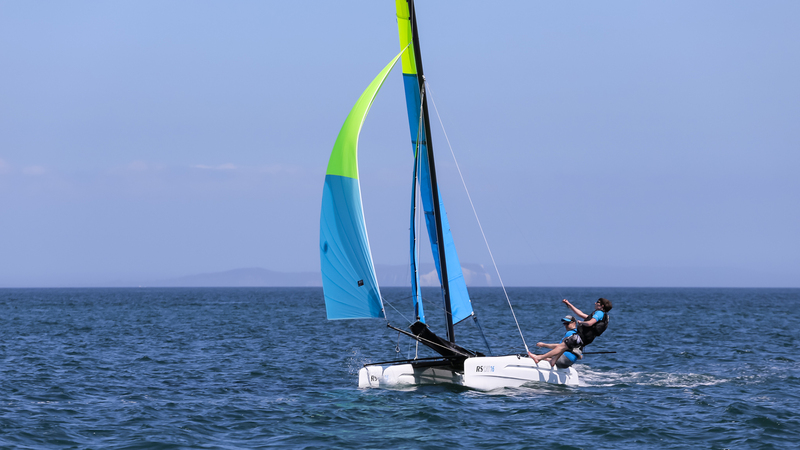 A few minutes later, we hoisted the A-sail, and life became very satisfying indeed. 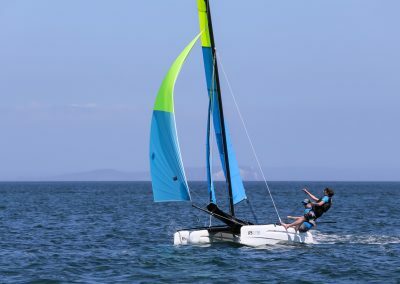 With more breeze you’d be laughing, but what’s really amazing is the build and how well it’s all put together – amazing.